A few people have asked about what we pack in our Yumbox lunches. These are our favorite lunch boxes, both for ease of use and how cute they are. They come in a variety of colors and inserts so you can customize it to the age of your child. When packing the boxes, it’s best to break it down into categories. The Yumbox makes it easy for you by reminding you of the categories in their inserts. Protein, dairy, vegetables, fruits and grains. So simple, right? We own both the panino (sandwich friendly) insert and also the original bento box version. I use them both so frequently I can’t say I love one over the other. We have the blue and the pink box. Here are some ideas of what to pack for each category. Pin the image to save for those mornings when you just can’t think of what to pack! What else do you like to pack in your kid’s lunch box? Note: I’ve bought all my Yumboxes myself. Love them. The links in here are affiliate links, which means if you decide to purchase one the site receives a small commission. Thanks! As we look ahead to the final weeks of preparing school lunches, let’s try to keep things fresh and fun. Here’s a little roundup of easy surprises you can add to your child’s lunchbox or after school snack time routine. Who knows, maybe your kid will try a new piece of fruit if presented with a little humor? Have fun with these adorable lunchbox ideas! 2. Line them up! Grape caterpillars. 3. Sneak in some apple turtles. 4. What came first? The chicken or the egg? 5. Give a hoot for this fun owl lunch surprise. 6. Skip the work and just stick with a fun bento box for the kid’s lunch. The Yumbox is still a favorite since it’s lightweight, easy to clean and spill-proof. Pack them for a summer picnic or a car trip. These will make the cut for us on our Toronto road trip in August! If you want ALL of my easy smoothie recipes in one handy printable recipe book, click here. All recipes are kid-approved! Sources 1. 2. 3. 4. 5. Which one is your favorite adorable lunchbox idea? Does your idea of a healthy lunch differ from one your kids dream about? Is there some way to get you both on the same page? As we continue to talk about school lunches this week, today I’m sharing an awesome giveaway and some resources on how to make your kid’s lunchbox rock. I asked Madison to draw her favorite lunch. She struggled because she said she “likes everything.” If only that was true. So I asked what she would like for her first day of kindergarten. Can you tell what it is? It’s a sandwich, with Nutella AND Fluff. At least we could have the conversation now that this would not be her lunch on the first day of school. On the side, she choose fresh pineapple. Now that I will happily pack in her lunchbox. Then I took another approach and asked the kids to pack a lunch with the Laptop Lunchbox. I was pretty excited when they packed nearly all fruit into the box. There is something so compelling about filling up the little bento box containers with brightly colored fruits and veggies. The kids just naturally tapped into the rainbow. We did talk about what’s missing-the protein. We could add in some Stonyfield Kids yogurt squeeze tubes or Organic Valley string cheese. Three Free Lunchbox Containers – get creative on how to pack! Six Free Product Coupons – get creative on what to pack! Plus 1 Set of Free Crayola Crayons – get the kids involved drawing their dream lunch! At the beginning of September, packing lunches for the kids was just one more thing to do at the end of the day (or first thing in the morning.) Now a few weeks into the month, staying motivated to pack healthy lunches with variety can be a bit draining. There are two new books on the market that I think will help you with packing lunches, whether you are cooking from scratch, or not. It’s real lunches here, not the super fancy bento box creations that are all over Pinterest and Instagram. Today I’m sharing my thoughts one of those books. I know I was guilty of always sending a sandwich into school towards the later half of the school year. Raspberry and cream cheese was the staple, since school is nut-free. 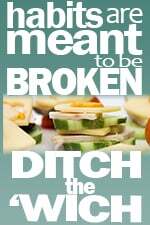 This ebook has changed how I think about the kid’s lunches, so there’s hope my kids will get something different even when lunch packing time is nutty. The Healthy Lunch Box is an ebook which you can read as a PDF, or on your iBooks app, Kindle or Nook. The first half is all about strategy…I learned that there is a right, and a wrong, way to pack the ice in the lunchbox to keep the food safe. It also made me think about packing the next day’s lunch throughout the day, not just at the end of the day when you are tired. The first half of the ebook is filled with tips and tricks with new ways to think about packing lunch. What are some fun new ideas I’ve gotten out of this book? Click here to order your copy of The Healthy Lunchbox If you are a real food newbie, this book is also helpful in educating you on what to be mindful of as you grocery shop. Katie’s site, Kitchen Stewardship, is one of the first blogs I started reading four years ago and it really changed how I cook today. We make our own yogurt now, regularly make our own chicken stock and because of her articles, I know why bone broth is so healthy for my family. Her Healthy Lunch Box book fits into our cooking lifestyle and it has given me a lot of good ideas to continue to test out in the coming months. I received a copy of the Healthy Lunch Box to review and I’m so glad I did and happy to share it with you. There are some affiliate links in the post, but really I’m just sharing this because I know a lot of moms struggle with what to pack for lunch and I think this is one helpful resource. A few weeks ago, I was surprised by an email from Pinterest that had my Lunch Love board featured in it. It is one of my favorite boards and it has helped me create lots of healthy lunches for my kids. I think it’s no coincidence that my Lunch Love board is a favorite, as packing lunches was what first clued me in to living a more sustainable lifestyle. My daughter started at day care and I was packing lunches for the first time. First it was breast milk and baby food, and then toddler food. Suddenly, there seemed to be a lot more waste happening. I wanted to make a switch and thankfully, there were lots of other mom-based business offering products to help. Reusable bags, cute toddler sized lunch boxes and kid friendly glass containers were suddenly a normal part of our lunch packing routine. After this switch in our routine, I made other small changes at home. Cloth napkins, cloth diapers, less paper towels, composting and so on. One small step kept leading to another and I was happy about cutting down on the waste happening…that’s really how the name Random Recycling came to be. I wanted to try to cut down on the massive amount of waste/stuff that was coming into our home when we first started having kids. Now the blog clearly has a larger focus and family nutrition is a big part of it. Lunch Love can be a fun part of your routine too. Get your kids involved picking out lunches. Pick up a copy of Weelicious Lunches (which is just awesome!) and get some new ideas on what to pack. Plus tips on “how” to pack kids lunch as it’s so important to keep it simple for them. The time available for lunch is generally short so keep food simple and easy to unwrap. Make sure their containers are easy to open so they can be independent eaters as they sit with their friends. Enter below using the Rafflecopter. Giveaway is open until midnight, Sat Sept 28th, 2013. Open to US residents only. Join me on Thursday night as I chat with Danielle Shea Tan, a health coach who will walk us through how to pack a healthy lunch for our kids. She will have tips for picky eaters and we will talk about how to create the right balance between healthy choices and kids favorites. RSVP for this Google + hangout and we will be talking online at 8:30 pm EST. During the talk, I’ll be giving away one copy of Weelicious Lunches to someone who has RSVP’d! See you there! I hope you continue to find inspiration on the Lunch Love board. And thank you Pinterest peeps for sharing it! I was a partner this summer with Rock the Lunch Box where real moms shared their favorite lunches. Check out the site for loads of ideas and photos. I also received samples of the Izy and Oly napkins and Squooshi pouches so I could test them out first. My kids love both fun accessories in the lunch box! The Weelicious Lunch link to Amazon is an affiliate link, which means this site gets a little kick-back at no cost to you.